Invest in your health and wellbeing during this week-long Ashtanga Yoga retreat with Francesca Di Rosso Batic and Janet Hawkins, two experienced and loved Ashtanga yoga teachers, in one of Italy’s most beautiful regions. Invest in your health and wellbeing during this week-long Ashtanga Yoga retreat with Francesca Di Rosso Batic and Janet Hawkins, two experienced and loved Ashtanga yoga teachers, in one of Italy’s most beautiful regions. A week of yoga, sightseeing (if you wish), pool and beach time as well as the freshest organic food Italy has to offer! Just as a diamond has many facets, Ashtanga Yoga can be interpreted in many ways. Francesca and Janet practice and teach in a way that is joyful, accepting and respectful. Both are experienced at connecting to the subtle rhythms of the body and will share how to experience the practice in a way that is sustainable and supportive. Practice will include five traditional Mysore-style classes with Old School vibes, one led class, and two-afternoon technique workshops. Instruction can be offered in English or Italian. provide the produce served at the retreat centre where they are prepared and served with love in the beautiful outdoor cafe. Ashtanga yoga practitioners practicing partial Primary Series through Advanced B are welcome to join Francesca and Janet for this week of practice and learning where they will share their experiences of the Old School Ashtanga traditions. This is a perfect retreat for yoga teachers to deepen their own practice as well as experienced students interested in time away to re-connect with their practice. 8 am to 10 am Mysore followed by brunch. Free afternoon to explore the area or to chill out by the pool. led class at 8 am followed by brunch. Free afternoon to explore the area or to chill out by the pool. breakfast at 10 am and checkout! Founder of the Ashtanga Space Brussels, a senior student of Nancy Gilgoff (House of Yoga and Zen, Maui, Hawaii). Francesca started studying yoga in 2003 in Brussels, then deepened her practice in Ireland (Clare Island) with Ciara Cullen and Christophe Mouze. She is a senior student of Nancy Gilgoff, one of the first Western women who studied with Sri K. Pattabhi Jois in Mysore (South India) in the Seventies (1972/73) and who was part of the first group of yoga students that brought Ashtanga to the West. Francesca has been studying extensively with Nancy in Goa (India), in several locations in Europe and on Maui (Hawaii) where Nancy lives. She took part in many of Nancy’s workshops, followed two Primary Series Adjustment Clinics and one Second Series Adjustment Clinic in Okinawa (Japan) acquiring thousands of direct contact teaching hours from Nancy. Francesca assisted Nancy when she went to teach in Brussels in June 2013 and 2014 and has received Nancy’s blessing to teach. Francesca has also completed two Third Series workshops with Nancy, one at The House of Yoga and Zen on Maui (Hawaii) in February 2016 and the other at the Ashtanga Studio of Andrea Lutz in Berlin in September 2017. Francesca believes in the importance of Parampara (परम्परा, paramparā), where knowledge is passed on from teacher to student and she teaches the way Nancy taught her. 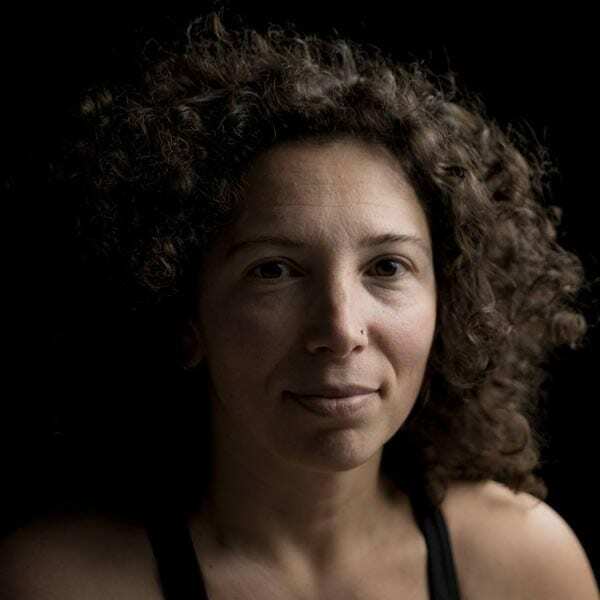 Francesca is a dedicated Ashtanga practitioner, passionate about her own practice and proud to be able to share this living tradition with her students. Aware of the importance of keeping the traditional knowledge up-to-date, she regularly travels to India and/or to Maui (Hawaii) where Nancy Gilgoff lives, at least once a year to deepen her own practice. 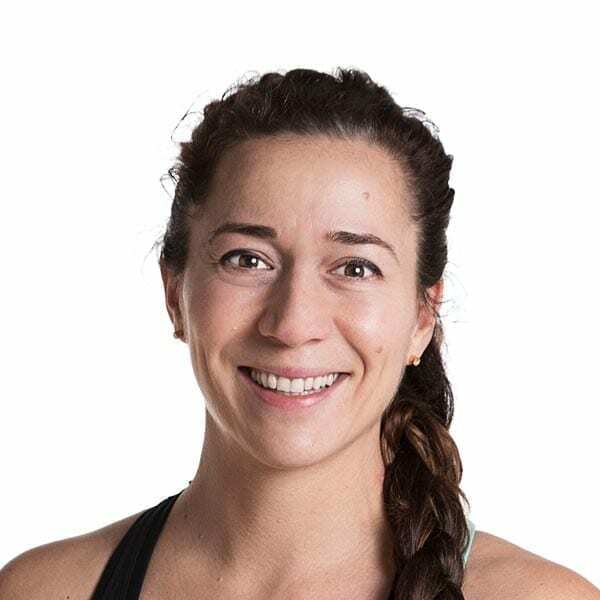 Francesca has also completed Manju Jois’teacher trainings (primary and intermediate) in 2014 and 2015 and keeps studying with Manju when he comes to Europe. Francesca is currently studying Vedic chanting with Shantala Sriramaiah of Sankrit Belgium sanskritbelgium.com . Moreover, she has successfully completed the ‘Yoga philosophy’, the ‘Bhagavad Gita’ and the ‘Samkhya and Vedanta’courses at the Oxford Centre for Hindu Studies. Francesca is also a qualified cranio sacral therapist (Upledger Institute) for adults, children, babies, conception, pregnancy and birth (CST-T , SER1, PED1 and 2, CCPB), for more info on this, please visit the cranio sacral page on this website or the dedicated website www.craniosacraltherapyforyou.com. Francesca is Italian but also speaks English, French, Dutch and German. Janet is a dedicated Ashtangi, practicing yoga daily since 1998, teaching since 2001. She also has more than 35 years experience in sport, movement, and teaching. Janet competed in high-performance diving internationally for 10 years, but the intense training and competing regimen left her bruised by life and living with chronic pain. Yoga practices gave Janet the tools to heal life’s bruises and move into a life of joy and wellness. It is with this mindset of the healing power of yoga that she serves her students to find their way to health. Janet’s approach to teaching yoga is rooted in helping students out of pain and suffering through energetic alignment, breath work and postural integrity. Janet’s close relationship with Nancy Gilgoff has helped her develop a sensitivity to energetic flow and impediment. In addition to yearly study with Nancy, Janet has travelled to India to study at the KPJAYI with Sri K. Pattabhi Jois, Sharath Jois and Saraswati. She has also studied with esteemed teachers Manju Ananda Jois, Fiona Stang, and Christine Hoar. Janet is grateful to share her life with her husband of 15 years, two insightful and compassionate daughters, and two cats. The Ashtanga practice is a commitment that has taught Janet consistency, dedication and compassion, tools that she uses every day while practising 7th series. Yes that is the hardest series of them all — raising a family! Janet teaches the Mysore Program, Apprenticeship Program, Private instruction and travels to teach workshops around Canada. Follow Janet’s adventures on Instagram at YogaJannie or Facebook!